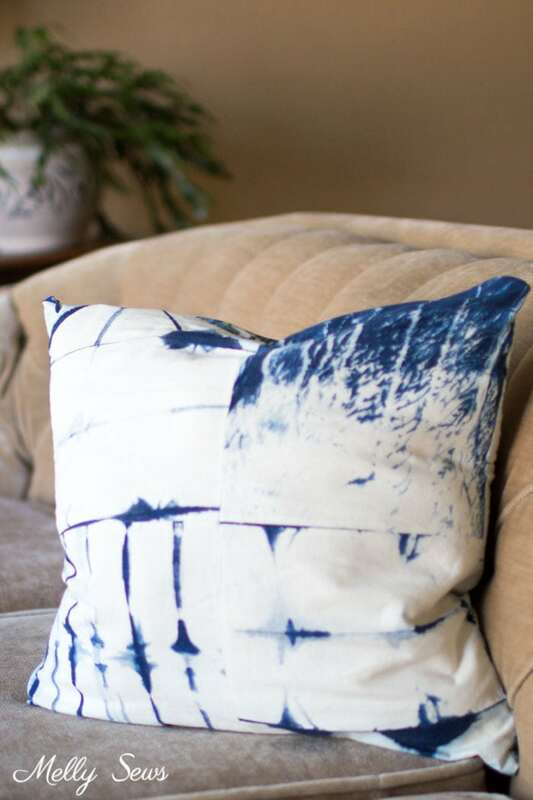 Hey y’all, today’s project may not look particularly holiday themed, but sewing an invisible zipper pillow cover fits because it’s the EASIEST way to update your decor any time, particularly for holidays. You can make this in about 20 minutes and if you used fabric in the holiday colors, voila, holiday decor! Now I chose to patch together some Shibori dyed samples, but I also haven’t decorated for the holidays this year. So there’s that. Also I love these samples and together they make an interesting cover. So, want to make your own? 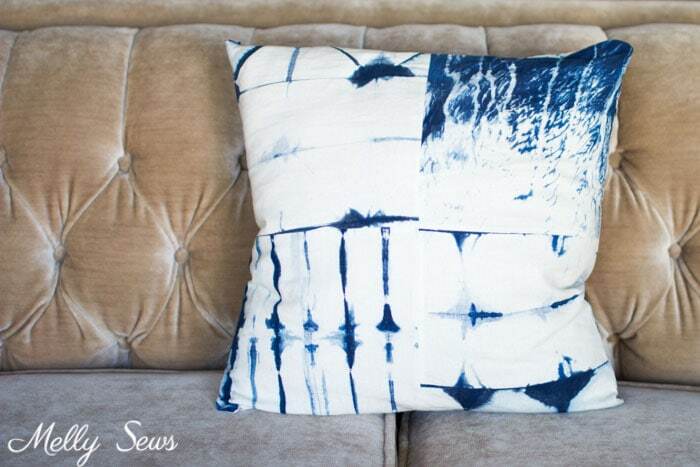 For a standard 18″ pillow, you’ll need to cut two squares that are 19 in by 19 in and use 1/2 in seam allowances. And you’ll need a 20-22 inch (or longer) invisible zipper. Invisible zippers have coils that curl to the wrong side of the zipper, making them easy to hide in a seam. I’ve got a video tutorial for this project, you can watch it below or if you prefer you can watch it on YouTube here. 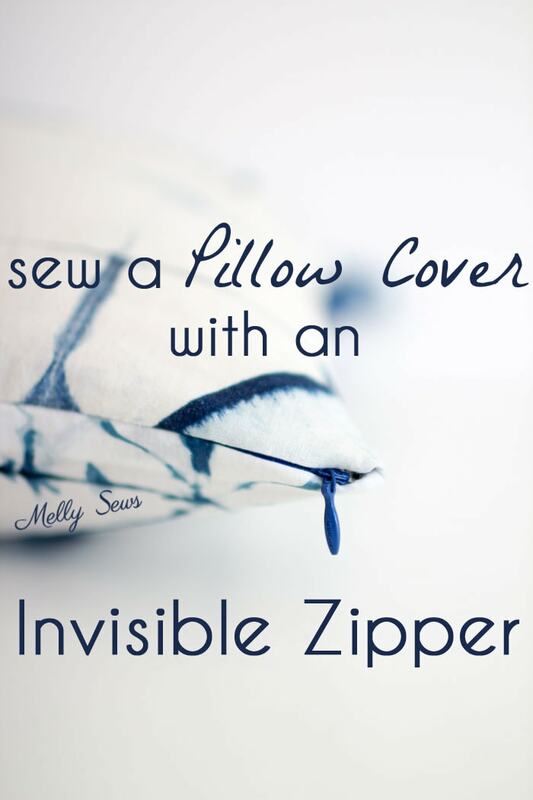 If you’re a written instructions kind of person, first read this post about invisible zippers, then read this one to assemble the rest of the pillow. As mentioned in the video, here’s a (affiliate) link for the narrow zipper foot, which I like so much better than the fat foot my machine came with. And I have other seam finishing methods, including videos, here. Thanks for this awesome video! I am making special pillows for my son and daughter-in-law’s new house!!! They shared with me the colors of their new living room and I purchased some lovely matching fabric. I really needed this guide for the zippers, as I wanted the pillows to be extra special! I think I will watch one more time just to be sure, then I will be off to my sewing machine! Thank you again!!! Awesome look .Really liked the style and the color of the material used. This is just perfect idea.I love sewing different things for home decor.This will going to be the best.